Seiko plays the drums and is a big gamer. Seiko with her husband Adam. Seiko with GLOBALL Rover in the foreground and Tokyo Skytree in the background. Second Recipient of the GLOBALL Rover. 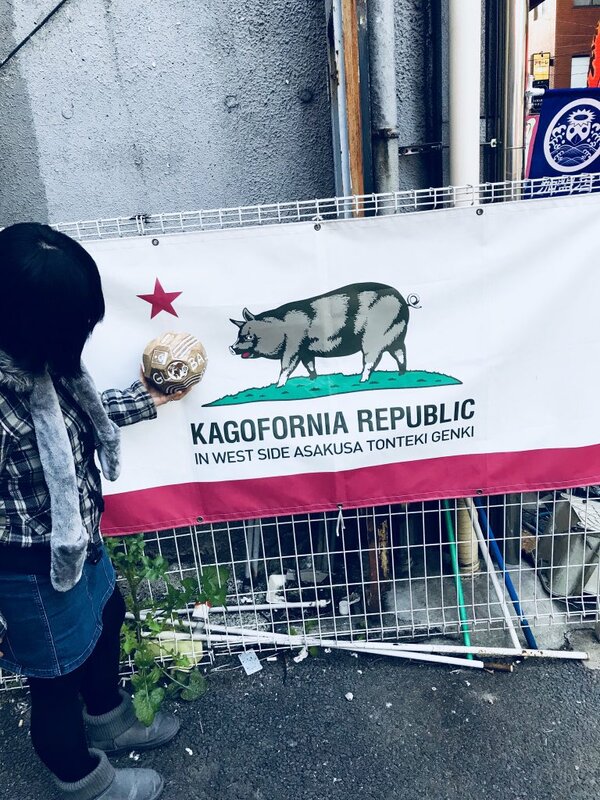 I was born in Kagoshima, grew up in Yamaguchi, moved to California in 2004, had a great time there (and met the love of my life:P), and now we are back in Tokyo, Japan!, the place where we can get anywhere by train, bike, basically without driving and it has been awesome. Tokyo is big, and it'll take us a long time to explore every part of the city and that's exciting. I've always loved music, I was a street musician back in Yamaguchi, singing the Beatles every night on the street. (Then I realized that my English is not good at all, and decided to study English abroad.) I was in several bands in the US and now I am a drum beginner. I've always wanted be a drummer, hopefully a jazz drummer, but I know that's the hardest goal as a drummer. but hey, I can dream right? Also, I am a big gamer. 2. How did it feel to receive the GLOBALL Rover from Adam? I was very honored! And also it made sense since we haven't established a strong friend connection here in Tokyo yet. We are each other's best friend for now and forever, but hopefully, our friend network will grow with this GLOBALL!!!!! 3. Who are you giving the GLOBALL Rover to and why? I am planning to giving this Globall to my friend Masaki! Since she is one of our first friends in our network since we arrived in Tokyo! Why? cuz she is cool. 4. Tell us something about them or how you met. I met her through Twitter. I really cherish this social network friendship. I have met lots of great people through social networks that I wouldn't be able to even get to know them without Twitter, (used to be Facebook, but no more FB for me though). And I've met these social network friends in person and they are great people as I imagined. I met her for the first time when we went back to Japan for vacation in 2015. We set up a "social friend network meet up" thing and it was awesome. We went to a maid cafe in Akihabara and deepened our friendship. 5. What does the GLOBALL project mean to you? It is connection. It's social network in real time ball figure. I really hope this Globall travels all over the world, and connects people who you never imagined being connected. I think that's beautiful.